Next Friday is Save The Children’s Christmas Jumper Day and we think it’s a great cause to get involved with. 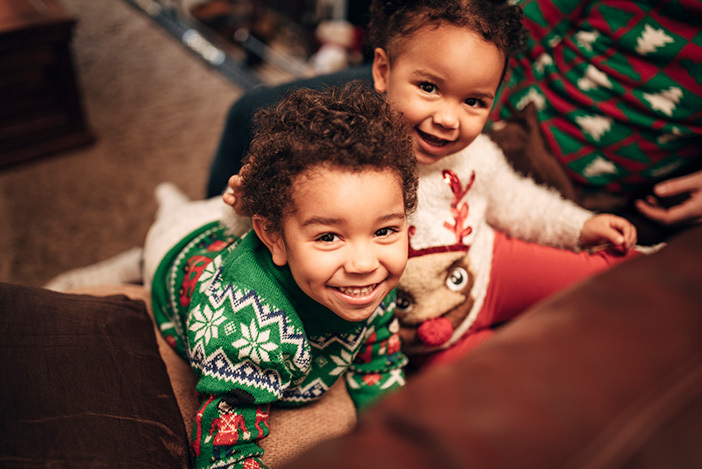 Whether it’s your little ones at school or you and your partner at work, get in your festive woollies. By donating £2 each, you’ll be giving children the chance to build a better future. Not to worry if you don’t have a suitable Christmas jumper because we’ve scoured the web and found these fantastic knits. We love this adorable jaquard knit dress from H&M. 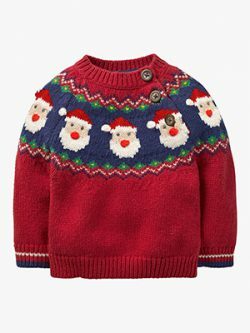 It has a lovely Fair Isle pattern in very festive red and green and comes in sizes 4-6 months to 3-4 years. It’s also wallet-friendly £12.99! 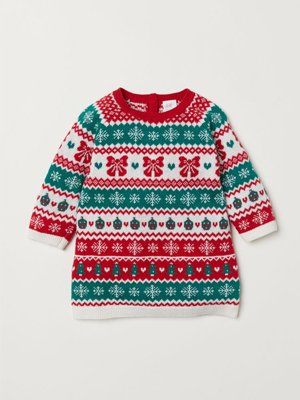 This gorgeous Mini Boden knitted sweater is the perfect Christmas jumper for your little boy. It features a classic high, ribbed neck to keep out the chill, and is adorned with a charming santa design on the front and back. It comes in ages 0-3 months to 2-3 years and you can get it from John Lewis. 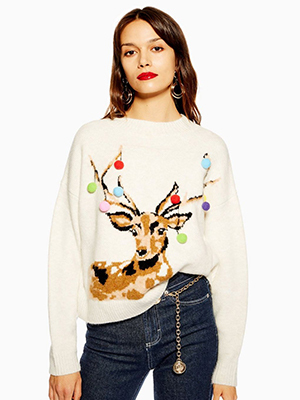 This Topshop Christmas stag pom pom jumper is so much fun. We love the vivid pom poms, stag design and loose fit – perfect festive feasting. It’s currently in stock in sizes 6-16 and is £39. 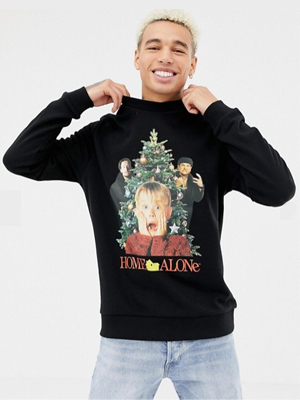 This may not be a knitted jumper but we couldn’t resist the Home Alone print on this sweatshirt from ASOS. Home Alone is such a classic and for £30 we thought this was great. It’s still available in various sizes from XXS to 2XL. 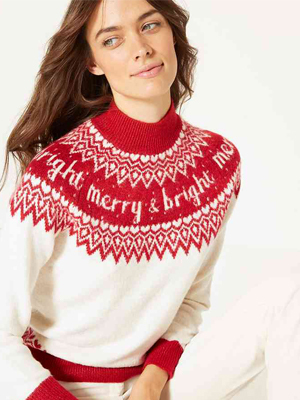 Christmas jumpers don’t have to be tacky, this M&S knit is stylish and not too in your face. It has a funnel neck and Fair Isle inspired heart detail around the bottom which we love. This one is £29 and comes in sizes S to XL. 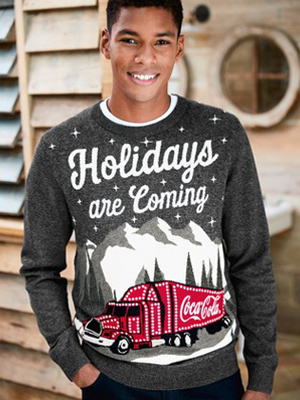 Finally, is this amazing Next jumper with the infamous Coca Cola truck from the classic Christmas adverts. This is £36 and comes in sizes XS to 3XL.